I have observed that peoples are facing problem in calendar not syncing in iPhone and iPad. The problem is when they set or update any event in the calendar on particular iPhone the iCloud is unable to propagate the same in other iPhone or iPad with the same Apple ID. However, this issue occurs sometimes due to a disturbance in syncing between iPhone and iCloud. Or also there is trouble in syncing and authentication because of error. But it is not a big deal we can resolve by some responsive techniques. Let’s see and fix on your iPhone X/8/8 Plus, iPhone 7/7 Plus, iPhone 6S/iPhone 6S Plus/6/6 Plus, iPad, Mac. To Sync Google Calendar, Outlook, Microsoft Exchange and Outlook Calendar to iCloud, you need to sign in your Account on your iPhone and Enable Sync Calendar option. Go to the Settings app > Account & Passwords > Add Account > Other > Add CalDAV Account. Or Settings > Account & Passwords > Add Account > Add Mail Account > Enter Account Details > and Tap on added Mail account (Enable Calendar sync toggle). Our Prior Method to solve any issue is rebooting the device and same we will try to solve calendar not syncing too. Just press and hold the power key and home button for a while until Apple logo appears on the screen. For iPhone 7: press and hold side button and volume down button simultaneously. Step 1: Press and instantly release the volume up key. Step 2: Press and instantly release the volume down key. Step 3: Finally press and hold the side key until the apple logo appears on the screen. Step 1: Go to Settings. Step 2: Tap on Your name’s Tab. Step 3: Click on iCloud. Step 4: Toggle on calendars. This method can also be very helpful and simple. Few steps you have to follow. Step 2: Tap on your Name’s Banner. Step 4: Find calendar Under Apps Using iCloud and toggle off it to Sync Stop. Force close all the tabs on iPhone and after few minutes follow the above same process and turn on the calendar sync. It may take few minutes to sync across all your devices so sit back and relax. 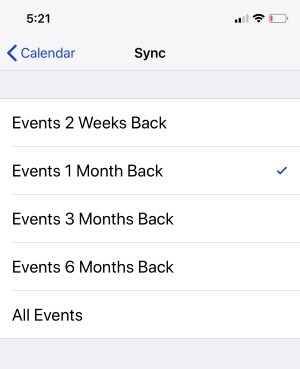 Sometimes by mistake, you have not permitted to sync all events so it might be the reason that iPhone or iPad calendar not syncing with your events. Let’s take a look how we can update the settings. Step 1: Go to “Settings”. Step 2: Open calendar and tap on “sync”. Step 3: Select Time Duration for All Events of For Specific Month’s Events. 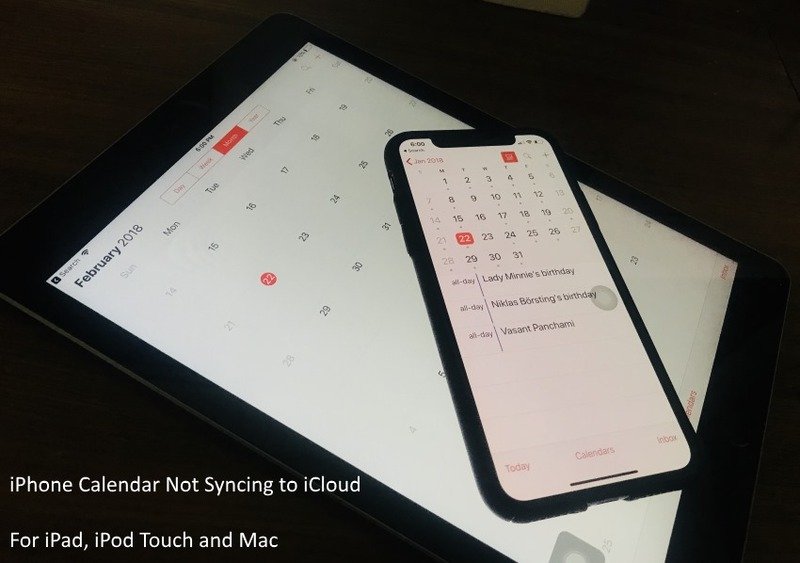 One of the silly mistakes we make is, to sync the events with iCloud one must require selecting default calendar otherwise iCloud will not respond to saved events on other iPhone’s or iPad’s. iOS can only sync over default calendar, not local calendars. Step 2: Open calendar and select default calendar. Also, Read iTunes not Syncing Music to iPhone. Never miss the chance to get upcoming popular days and events for personal and business use. First of all fix Calendar Syncing problems for access your Calendar data to other Apple Devices (iPad, iPod Touch, Mac).